The standing rule with linked datums is that if they intersect the view cutting plane, they should show up in the host. 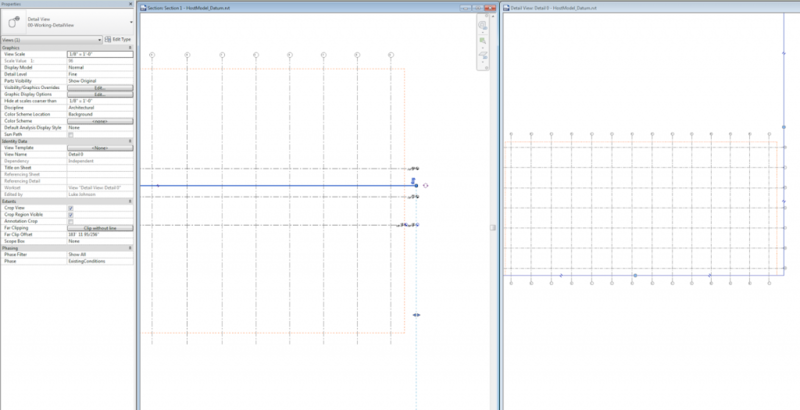 However, Matthew Nelson discovered an interesting inconsistency – for Plan Views, this doesn’t seem to apply when Scope Box has been added to Grids. In other words, the Grids in the Linked project, when applied to a Scope Box, do not seem to show in the Host project, even if the Host plan view range intersects the Grid elements. 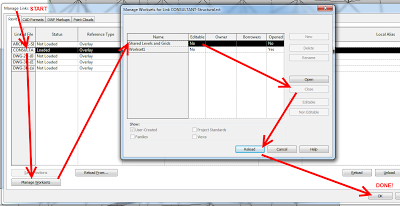 If the Scope Box in the Link intersects the Level in the Link with the lowest Z value (the lowest level), then that Scope Box and any associated Datum (Grids and Reference Planes) WILL appear by default in the Host. and select specify. Then press ‘open’. 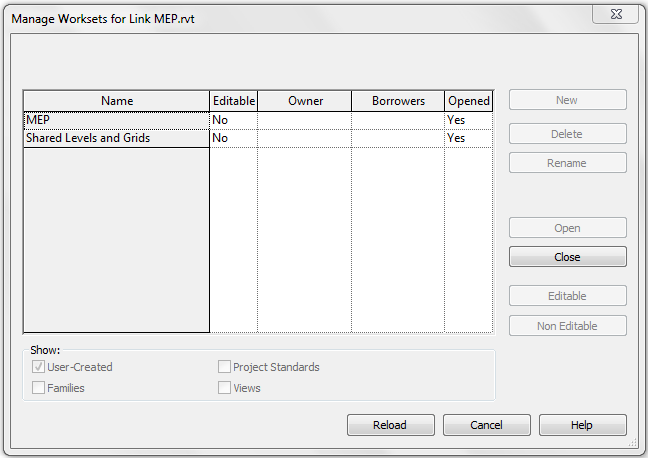 Revit shows the ‘Linking Worksets…” dialog box. 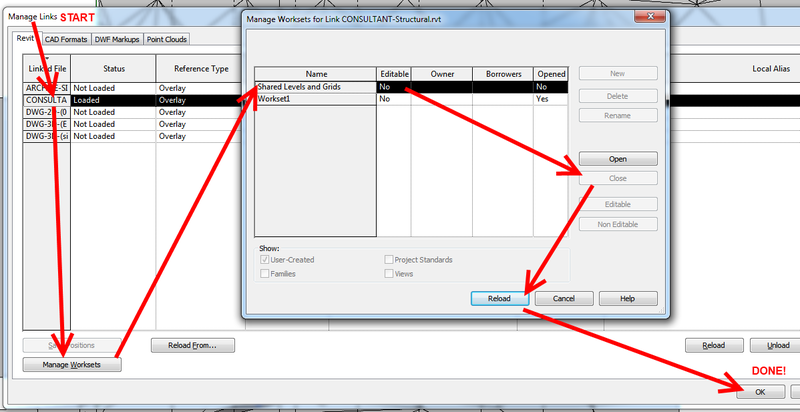 Select the ‘Shared Levels and grids’ workset and press ‘close’ and then Ok and again Ok. Now the ‘Shared Levels and grids’ workset from the linked file is closed and is NOT visible in any Revit view. 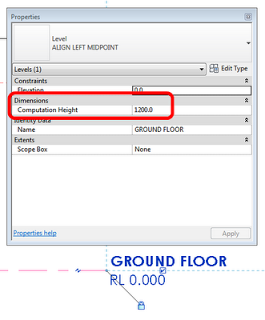 Even though the linked grids are not visible, Revit still ‘monitors it!!! If for some reason you want to see the structural grids, you can repeat the steps above to make them visible. When working with Radial grids you will typically find a couple of problems. The first issue you will find is that the grids will not show on new levels. 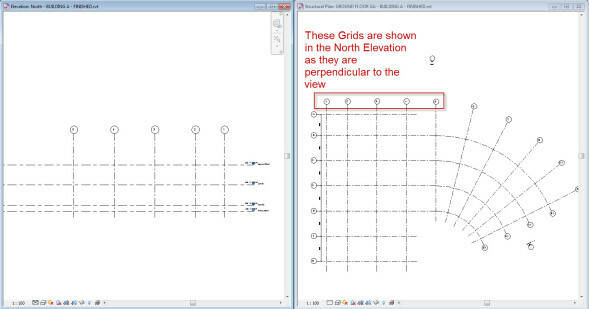 This is because the grids need to be elevated to cut through the levels and a grid is not shown unless a view is perpendicular to the grid as shown in the image below. 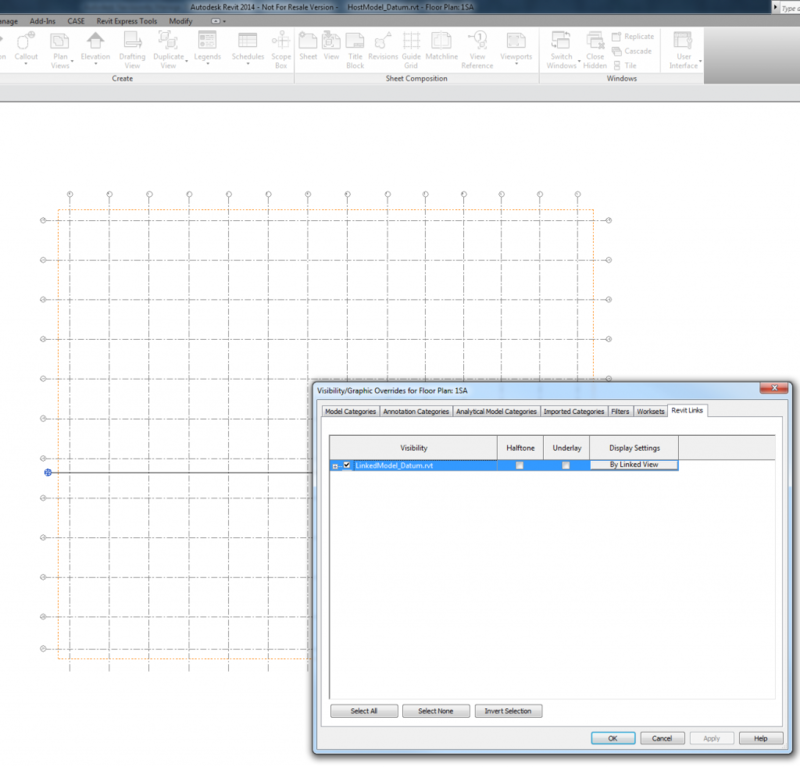 A new feature of Revit 2013 is the ability to create a continuous grid line with the same reference called a multi-segment grid. The grid is simply drawn with a series of lines and arcs and then when the sketch is finished the grid is created. It is worth noting that the grid cannot be controlled with a Scope Box (Covered Below). As the plugin’s name suggests, this plugin can be used to generate multiple adjacent levels with one command. It is compatible with Revit Architecture 2012. 2. Rename both the Floor Plan and Ceiling Plan something different (not Level 1) and nothing already in use. This is a temporary name. I can’t believe I had not come across this change until today. 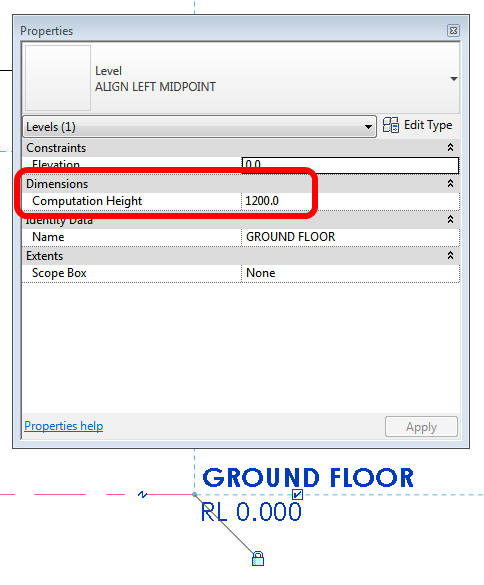 In Revit 2012, the Room Computation Height is no longer a Type Property of the Level – it is now an Instance Property. This eliminates the need to create a kind of different level for adjusting the heights of the different calculation levels. When your old projects, where you took the trouble to create these types of additional levels, your types still exist, but they no longer control the height and therefore not used to anything if their purpose was the control of this value. The value is copied into the parameter of occurrence. All is well, just be careful if you need to change height calculation, there is no need to change the type as you did in the 2011 version, this will have absolutely no effect. 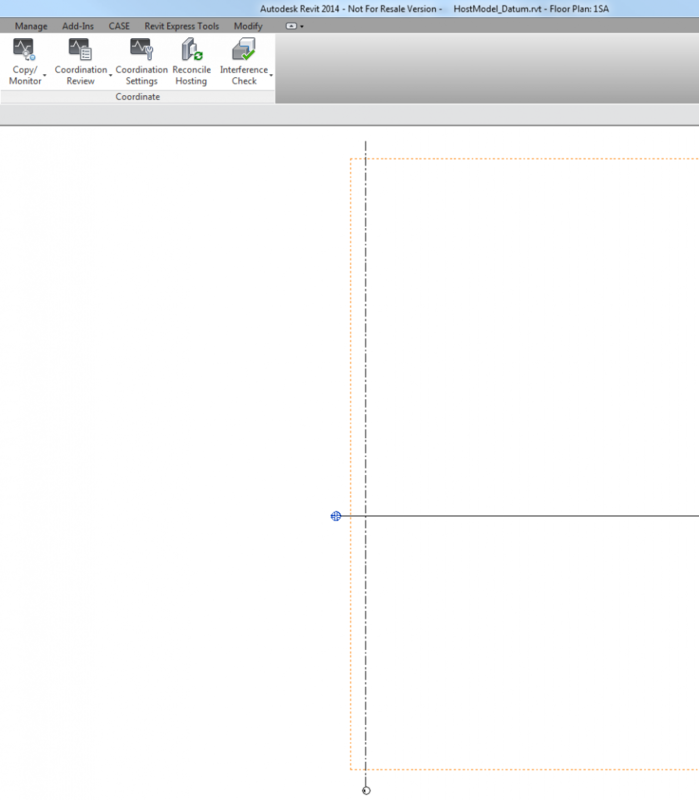 Revit does not want you to make too many levels. Again, this is something that we tend to do when we are just starting out. Then, you end up with this messy model and you go “That’s ok, I’ll just delete the levels I don’t need…” But guess what happens when you delete a level? The elements associated with it are also deleted. Uh oh! Create a new level type called ‘archived’. Create a new Filter for Levels (call it ‘archived levels’), with Filter By – Type Name – equals – archived. Go to a view, let’s say a section, and select each Level you want to archive. Change the type to ‘archived’. Go to Visibility / Graphics for the view, Filters tab, click Add – ‘archived levels’, then turn off the tickbox. Now, each new section won’t show the archived levels.